Events offer an escape from the everyday; designed for a chance to socialize, learn and enjoy. Reality is, though, people can sometimes be too busy and stressed to truly appreciate the opportunity. As our world seeks out a gentler, healthier way of living, industry planners are recognizing the need to create events that include a health-and-wellness component or an activity that refreshes, energizes and inspires attendees. Meditation and mindfulness “gyms” are popping up all over the city. These Zen-friendly venues are purpose-designed to elevate mood to a relaxed, refreshed and refocused state of mind. 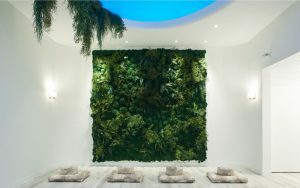 Hoame stands out with several beautiful serenity-now spaces, including a light meditation room with a “living wall’ and a spectacular Himalayan rock salt cave, an ancient health treatment for both body and soul. All areas are available for private group rental. The studio also has a wide range of wellness programming and services that can be tailored as custom workshops or to corporate event needs. 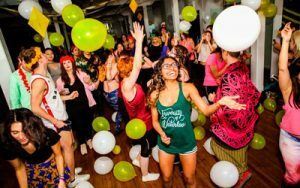 Daybreaker is an early-morning dance party movement that begins with an hour of yoga and fitness before busting out into a rollicking dance-your-face-off rave, all before the start of day-time work hours. Coffee, clubby strobe lighting, awesome beats and immersive theatre fuel the energy of the booze-free public events that take place in over 25 cities around the world, including Toronto. Due to popular demand, the Daybreaker team is also now curating bespoke private morning sessions for companies, brands and events. Light Therapy, an art installation by Apolonija Šušteršič at the Museum of Contemporary Art, is the perfect antidote for SAD – seasonal affective disorder. 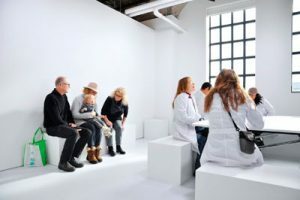 Visitors don white lab coats to blend into the bright, white, light-filled space to partake in the experiential art-in-use exhibit. It was also designed to showcase how museums support well-being and mental health. Best of all, MOCA members can rent the exhibit for private events for up to 10 guests. The installation runs until April 30, 2019. De-stress while stretching the muscles with a fluffy, cuddly yoga partner. Puppy Yoga delivers a joyful blast of mood-boosting cuteness as participants downward dog and assume yoga poses with puppies. The brainchild of Ottawa-based event firm The Hive, the company works with breeders looking to give their puppies an opportunity to socialize before going to their forever homes. 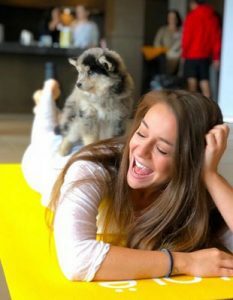 Along with running the public events (they’ve hosted goat yoga, too), the company can organize customized private sessions at one of its venue partners or a space of your choosing, or simply bring the dogs to your gathering for some play therapy. Feed your group’s creative soul at the Art Gallery of Ontario. In addition to hosting on-site events, there are many ways to encourage guests to enjoy the peace of its galleries and the masters they house. Arrange a staff time-out for them to while away an afternoon with a group tour, an art talk, or a private viewing of its permanent collections or the latest exhibition. 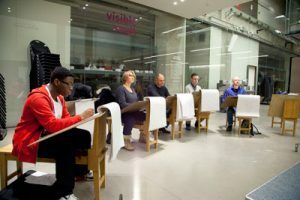 Or invite the team to put down the laptops and pick up paint brushes or pencils for some inspired exploration of the imagination in a hands-on art workshop?  Kindred Synergy provides a new perspective of health and well-being by snapping an aura photograph of the electromagnetic field emanating from a body’s chakras paired with a reading on what the colours mean. Only a 6-ft. x 8-ft. area is required for event set up; they’ll even collaborate with the bar on aura-matching cocktails. For more wellness science, the firm offers a package that pairs aura photography with an iTOVi scan that analyzes the body’s biomarker algorithms along with suggestions on how to balance them. It’s unclear how Canada’s new marijuana legalization will play out on the corporate event scene. However, there are a few early adopter services and products already surfacing. Ste. Anne’s Spa, a popular meetings and wellness retreat, recently added a cannabis-infused massage to its treatment menu along with a line of hemp-based skin-care products . 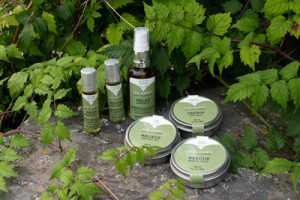 The massage oil and products use CBD, a non-intoxicating cannabinoid hemp-plant extract known for its inflammation-fighting and skin-boosting benefits. Guests won’t get buzzed, but they may feel better. Ditch the donuts and bagels in favour of healthy meeting-break nosh and sips. Superfood snack café Nutbar specializes in all-organic, nutrient-rich treats, free from refined sugar and processed flour, and yummy smoothies. With two Toronto locations, the café also caters its delicious-as-it-is-nutritious good-eating to events — mobile smoothie bars, detoxifying cold-drinks and freshly baked trays of healthy, energy-boosting bars and balls. 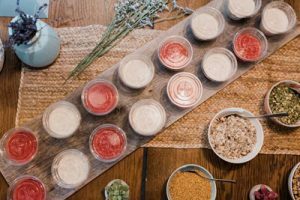 Breakfast or lunch includes individually packaged chia puddings and steel-cut oats with a selection of DIY superfood toppings. Even their coffee and teas are as pure as they can be. Nothing makes a guest feel more special than a little TLC. Wright Spa Mobile Services has worked many an event, including the Toronto International Film Festival, delivering tranquility and relaxation with pop-up spa experiences. The company offers a full roster of health and beauty services, from massages to manis and pedis to hair-styling. Catering to groups as small as five or as large as 200, the mobile spa area is customized to the look of the event with treatment times varying from a 10-minute mini to full-length hour. 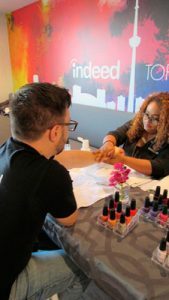 Some of its most popular event requests include make-up touch up stations, hand and chair massages, nail art and mini manicures. Opt for promotional items and thank-you gifts that remind and encourage attendees to take a little “me” time. Mississauga-based Healthy Life Cycle is an import/distributor and online retailer of brand-name yoga and wellness essentials. 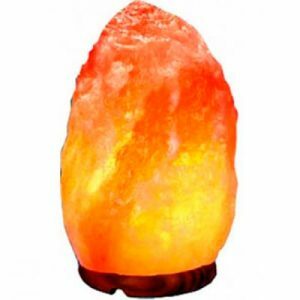 Think mini-Himalayan rock salt crystal lamps, yoga mats, fruit-infuser water bottles, aromatherapy pillows and eye masks, essential oils, and more. Wholesale prices may be available based on order size. Have the order shipped to you or arrange for warehouse pick-up.